I am a big time coffee drinker. Every single morning, no matter the time of year, I have my coffee. I feel like I can’t function correctly without it or something! When the weather starts cooling down, I still have my coffee of a morning- but I LOVE to have some hot cocoa of an evening. There is just something about the cold weather, the glow of the Christmas tree and nice hot cup of hot cocoa that makes me feel warm and cozy inside! YUMMY! 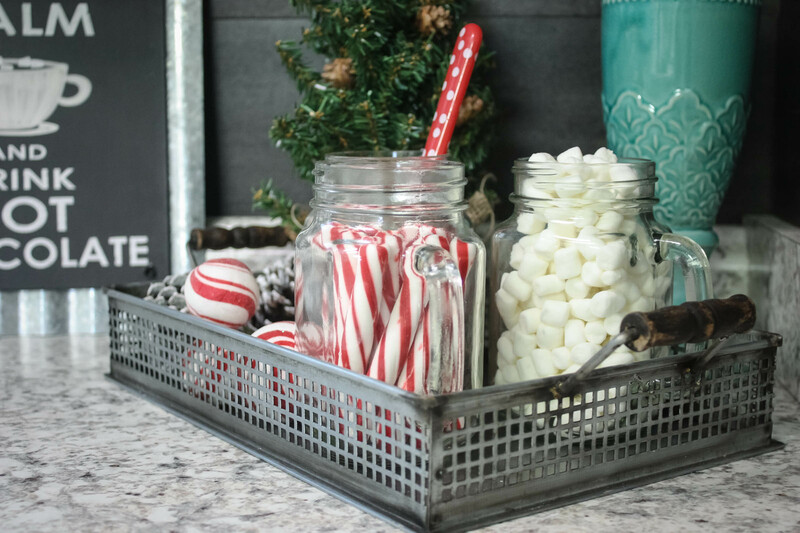 One day, when we build our home, I hope to have space to have my tea cart in my kitchen so that I can set up a really cool coffee/hot cocoa bar with all the bells and whistles! 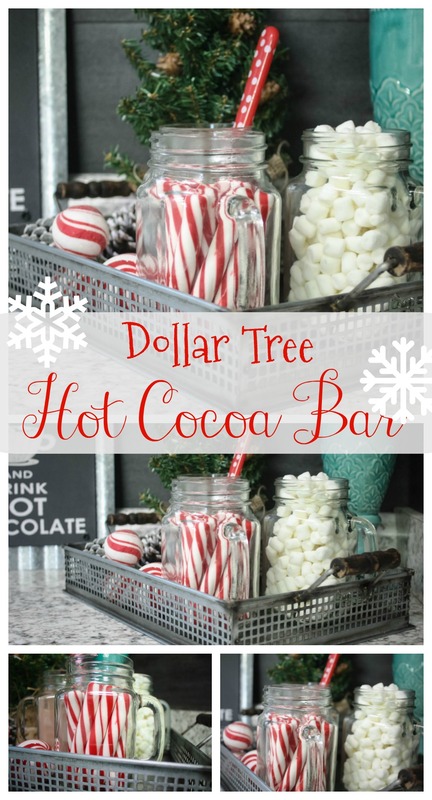 I just think they look so dang cute- and I think my tea cart would be perfect for that set up–BUT…it is in storage and I have no room for all of that jazz right now, so I settled for a small little hot cocoa bar on my kitchen counter. 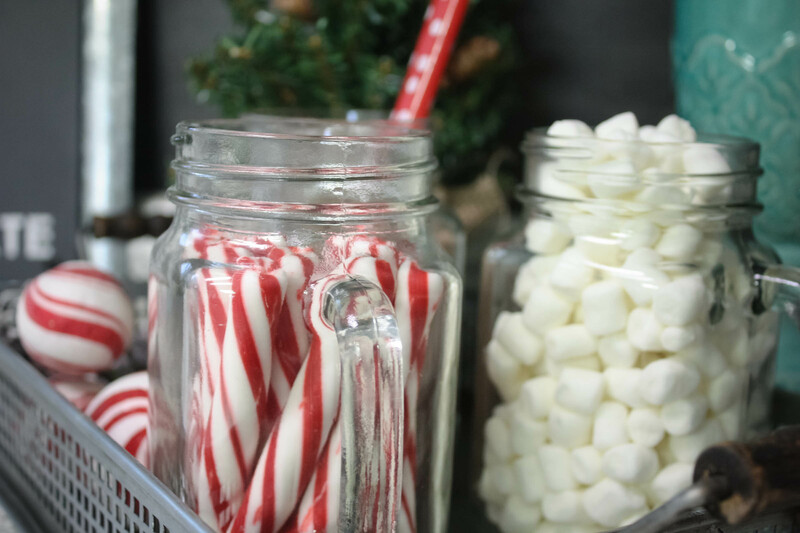 I do love the festive look it gives my kitchen, and all of my ingredients look so cute! 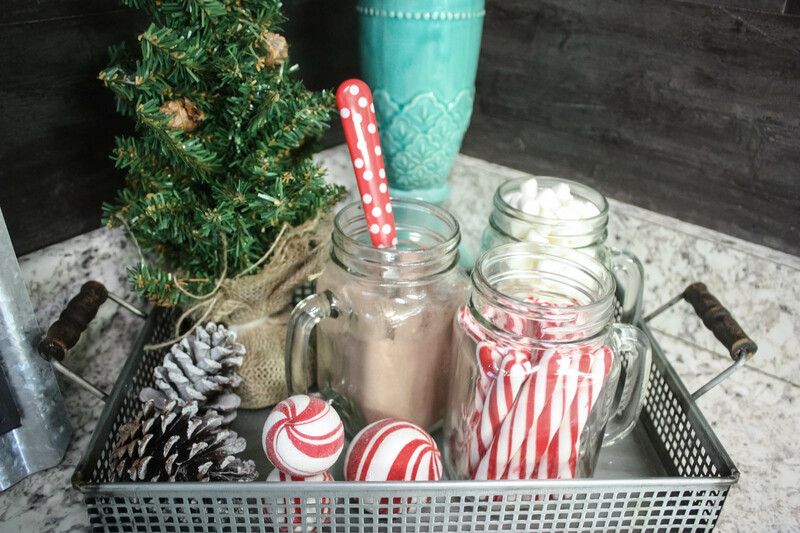 Would you believe that nearly all of the stuff in my little bar came from the Dollar Tree?? 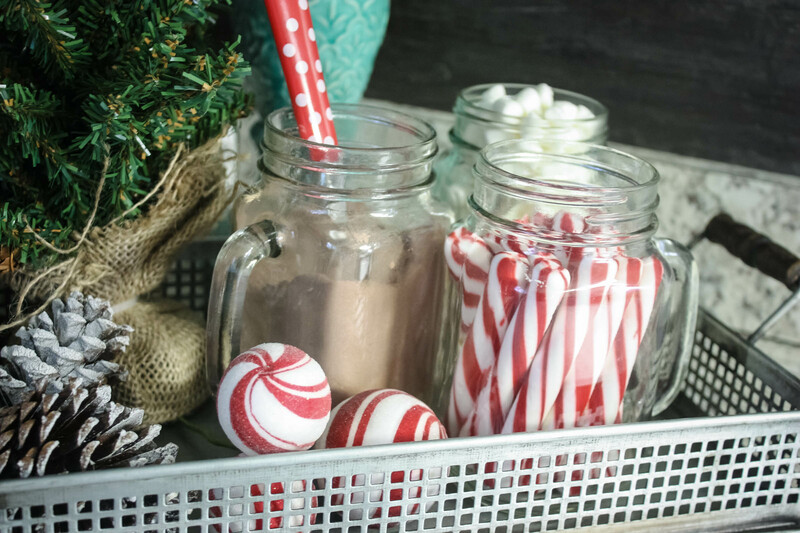 Each of those precious little mugs were $1 each at the Dollar Tree, as well as all of the cocoa (little packs of Swiss Miss- MY FAVE! 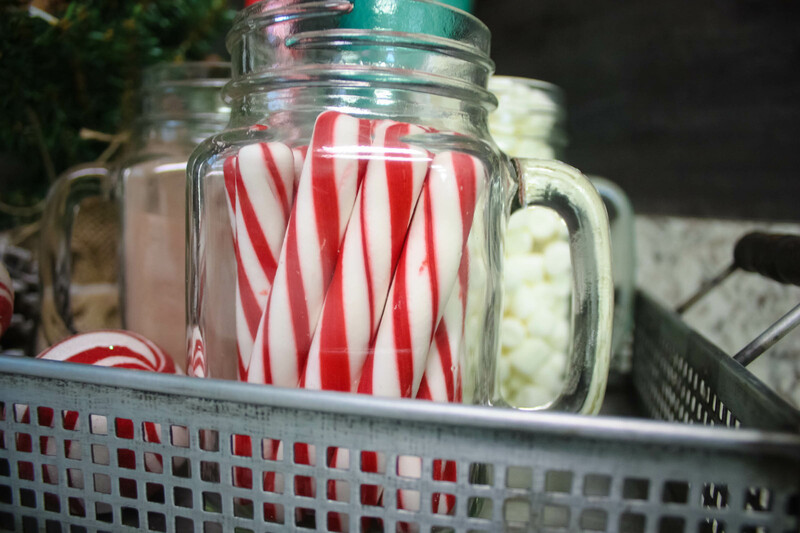 ), marshmallows and peppermint sticks! I had the pine cones on hand from previous Christmases, and I just sprayed some fake snow on them for a more festive look! I also had the little peppermint ball picks from a few years ago! The little tree with burlap base came from Hobby Lobby! It was only $3! Isn’t that galvanized sign the cutest?? It was another Hobby Lobby find, and it came in at $6.00. The little tray was also from Hobby Lobby for $10. I had it and the candle holder already. It was on clearance somewhere along the way! 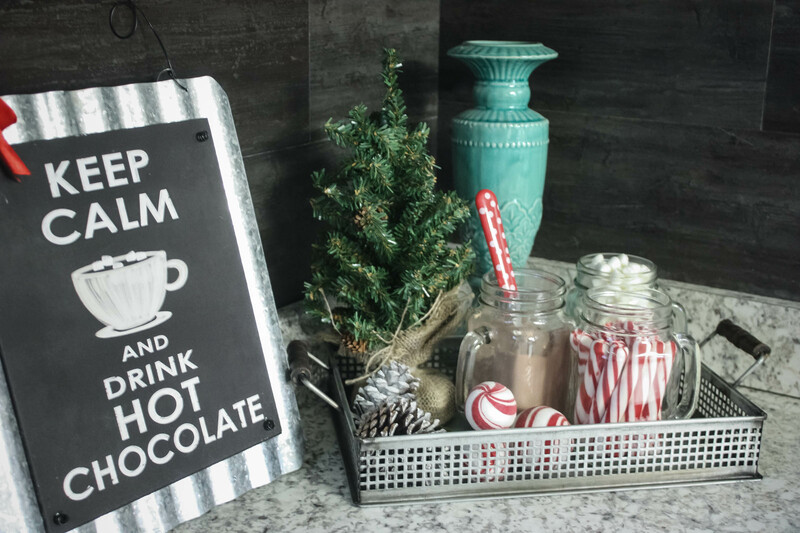 All in all, things purchased specifically for this bar came in at $15.00 (That includes the mugs, cocoa, peppermint sticks, marshmallows, little tree and hot chocolate sign!) If you include the tray, I came in at $25.00. I am not including that because I had it already and use it for various things…but STILL- super budget friendly and SO cute!! Sign up for Re-Fabbed Emails and be notified when a NEW post goes live! I love how it’s simple but makes a statement. I like this very cute and welcoming. 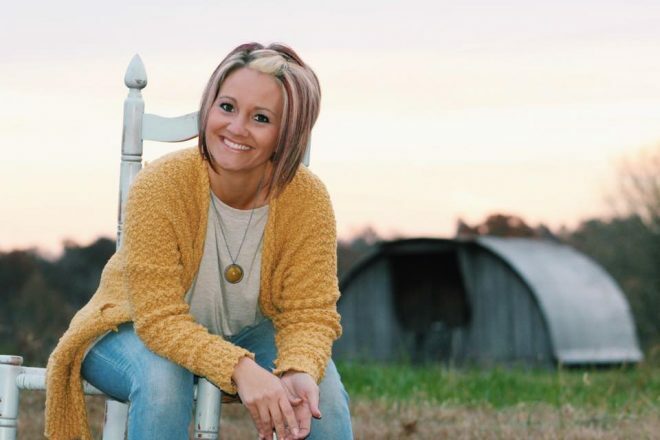 Thanks for sharing I shall try this som3 year!